South West Healthcare (SWH) is Victoria’s largest sub-regional health service and the Barwon South West sub-region’s major specialist referral centre. We provide a comprehensive range of specialist medical, nursing, mental health, allied health and community health services to the 110,000 people who live in our catchment, including: acute care (Warrnambool, Camperdown); aged care (Camperdown); mental health (Warrnambool, Camperdown, Hamilton, Portland); community health (Warrnambool, Camperdown, Macarthur, Lismore); and dental (Warrnambool, Camperdown, Hamilton). Our Warrnambool campus (212 beds) provides acute, rehabilitation and mental health care, and extensive outpatient and community services. Our Camperdown campus (60 beds) provides acute, nursing home and hostel care. 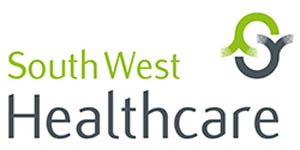 For more information go to South West Healthcare’s website.